The first box (yellow) - in the image below - only needs to be filled in if the joiner already has their vessel listed with TTNC. They can then click on the “Find Vessel” button to look it up. 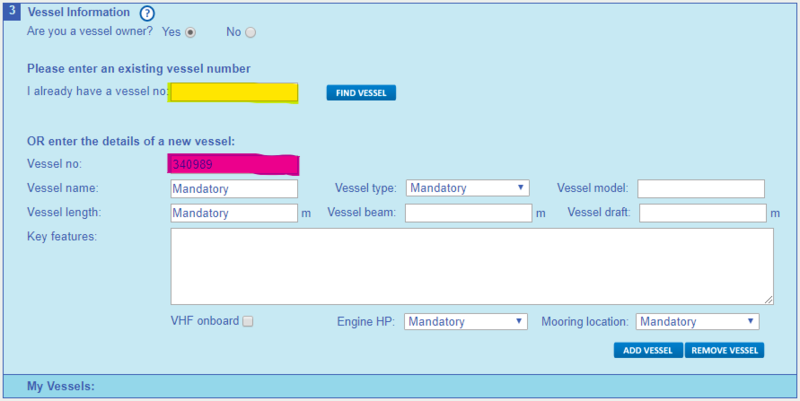 The second (pink) field is an auto-generated number which assumes the vessel is not already listed and cannot be changed or removed. The VHF field is just a checkbox so it shouldn’t matter whether it’s ticked or not.